You don’t have to throw or go to a big Super Bowl bash to enjoy this weekends big game. 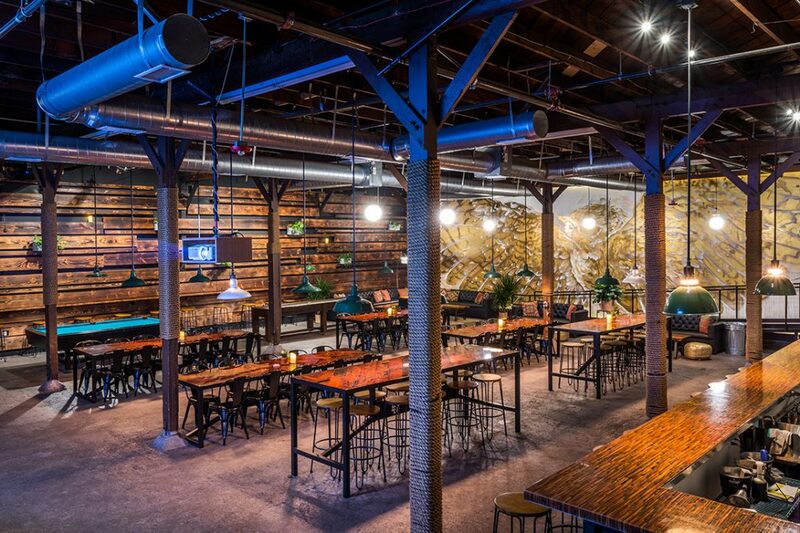 With so many new sports bars opening up along with the tried and true favorites, this weeks Out and About has you covered. So hang up the apron and throw on your Rams gear as we list off the city’s best sports bar options for Super Bowl LIII! 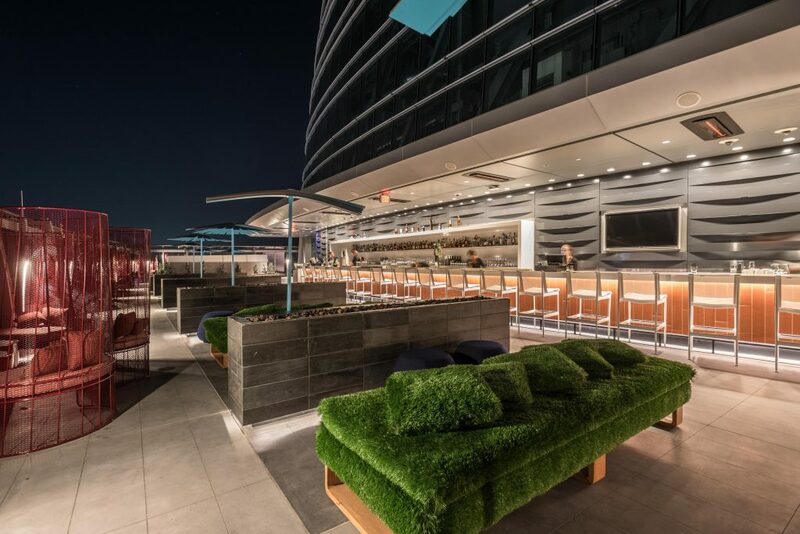 Watch the LA Rams take on the Patriots 73 floors high at Spire 73, located in the InterContinental Los Angeles Downtown. Beginning at 1 p.m. guest can dine on game-day themed bites like ‘L.A. Rams’ Chips and Salsa, ‘L.A. Rams’ green chili pork sliders and L.A. torta burger. And for you Angeleno’s rooting for the opposing team, they’ll have some Patriots option too! The entry cost is $50 and includes a three beer bucket and after party with a live DJ. L.A.’s first walk-up bar will be showing the game live on their big screen starting at 11 a.m.. Fans will also score big on deals with $3 to $5 cocktails during commercial breaks, chosen by Prank’s Wheel of Fun. There will also be group party games and Chef Ricardo’s Front Porch BBQ starting at 3 p.m.
Rams fans will be booming with cheer while they catch the game on Boomtown Brewery’s projection screen and all-day deals. Almost all of their beers will be discounted for the big day along with various food vendors like Republic Craft BBQ and S’moreology. 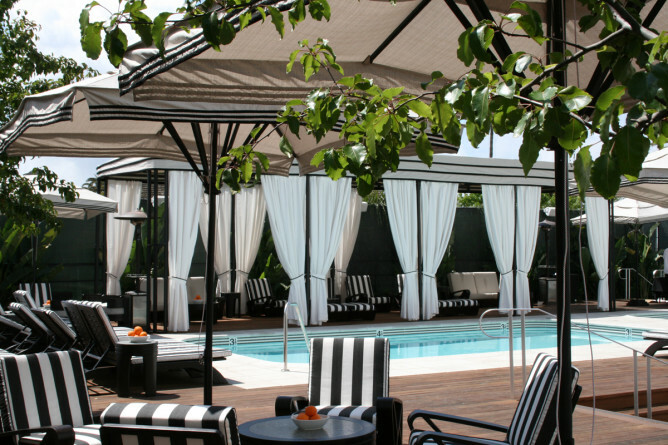 Enjoy a poolside feast while rooting for your favorite team at Hotel Shanrgi-La. The game will be shown on their big screen and your $55 entree fee includes a BBQ combo platter with a beer bucket add-on for an additional $20. Not really in the mood for game-day BBQ? Casita del Campo has you covered! 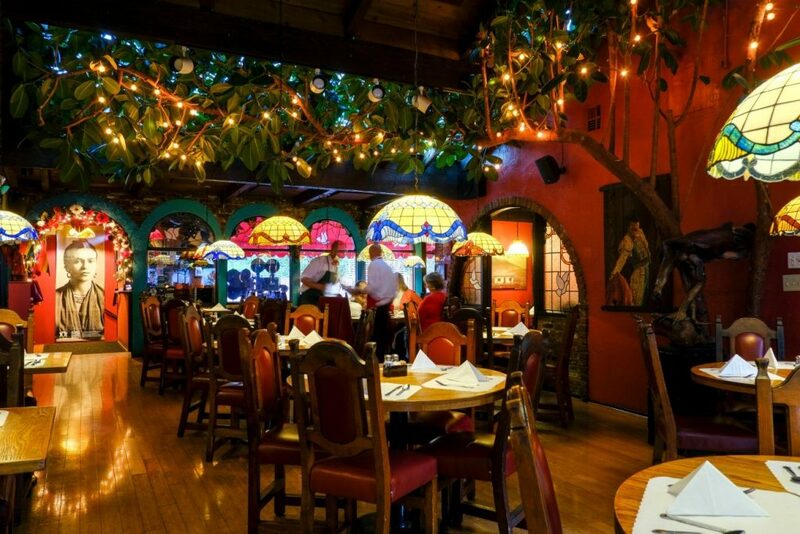 They’ll be showing the game this Sunday while dishing out your favorite Mexican cuisine and handcrafted margaritas. No worries to brewsky drinkers, there’s a range of ice-cold beer to chose from too! Talk about timing because the happy hour odds are in your favor this weekend. 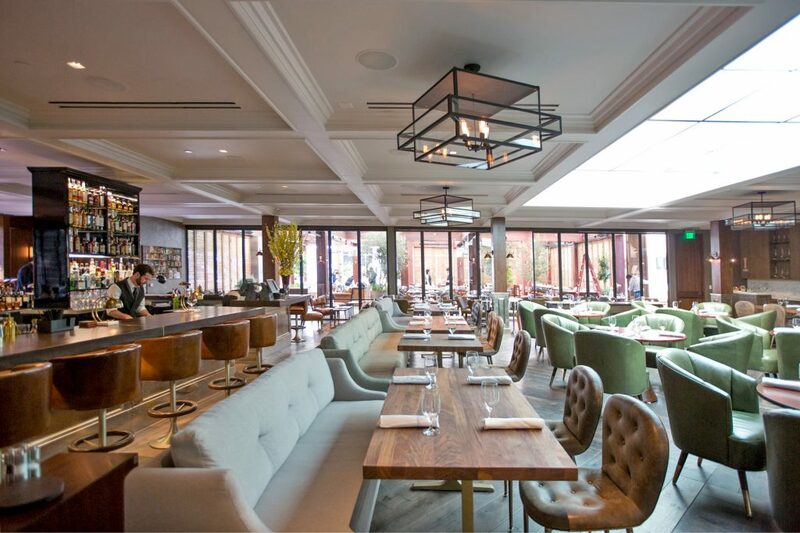 Baltaire’s newly rolled out Happy Hour menu will feature game day bites, beer and cocktails specials. Catch the game in the lounge and don’t miss out on door prizes! 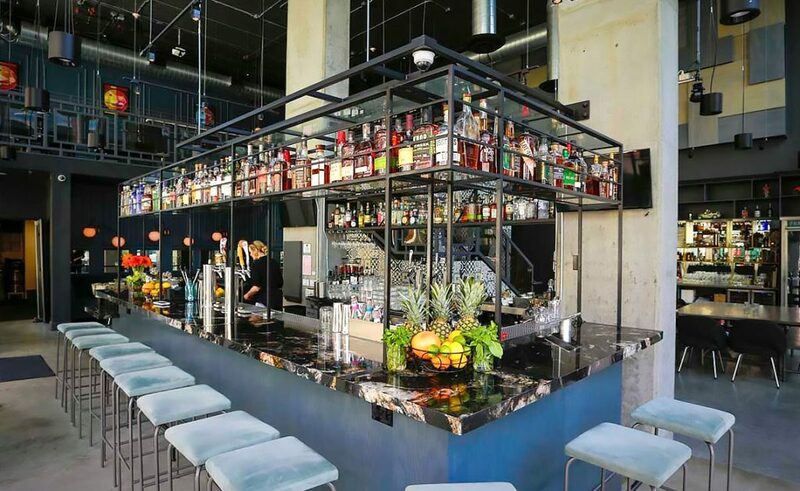 DTLA’s Baldoria will host a Super Bowl bingo party to shake up your game-routine this Sunday. Happy Hour is all night with prize giveaways and $2 shots every time either team scores a field goal, touchdown, or safety. 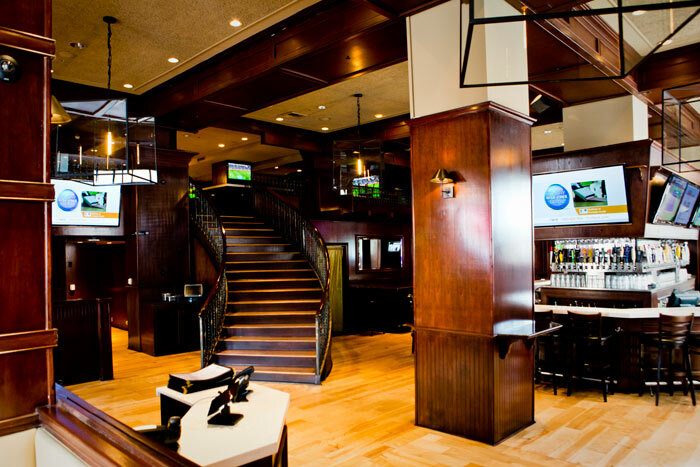 If you’re a sports fan—so, you know, most of you—33 Taps is prime seating for watching your favorite game. Plenty of flat screen TVs are available to stare intently at while you choose from one of 33 beers on tap. If you’re feeling peckish, order one of the burgers with a side of their killer sweet potato fries. Watching the big game eastward? There’s also a 33 Taps in Silver Lake. 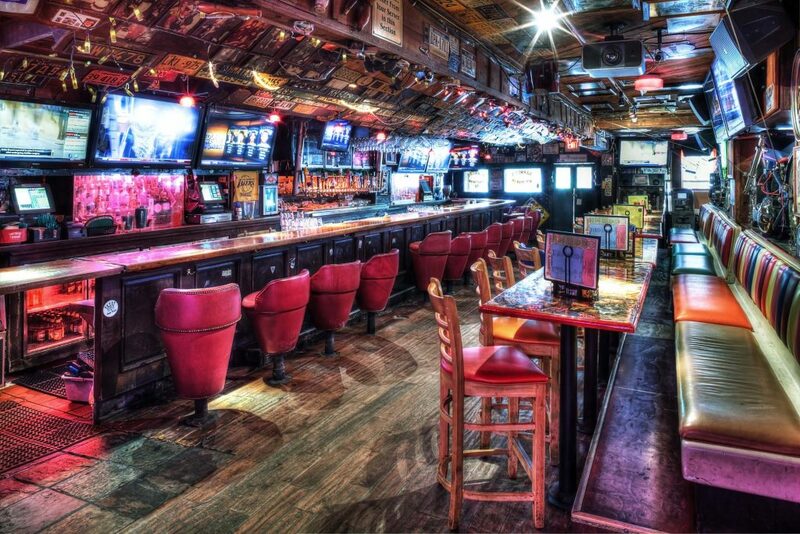 This Southern California chain is all about the kitsch—and the flat-screen TVs. Watch the Sunday’s game from the collection of more than 60 TVs hanging around the Mexican beach-themed bar. 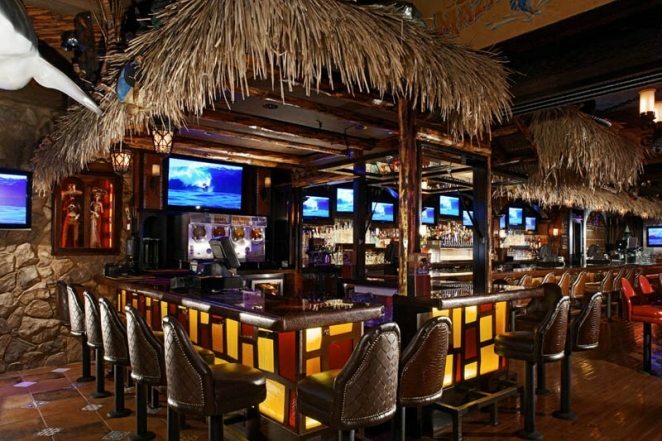 Enjoy bar favorite frozen drinks, 22-ounce “schooner” cocktails, beer buckets, shot specials and more. The West Hollywood location is the original outpost of this mini-chain, but you can also find one in neighborhoods across L.A.: Pasadena, Westwood, Burbank, Santa Monica and Redondo Beach. You’ll find a crowd of sports bros and ladies all sidling up to the bar, enjoying one of 60 TVs (complete with sports packages galore), and imbibing in an array of beer choices. 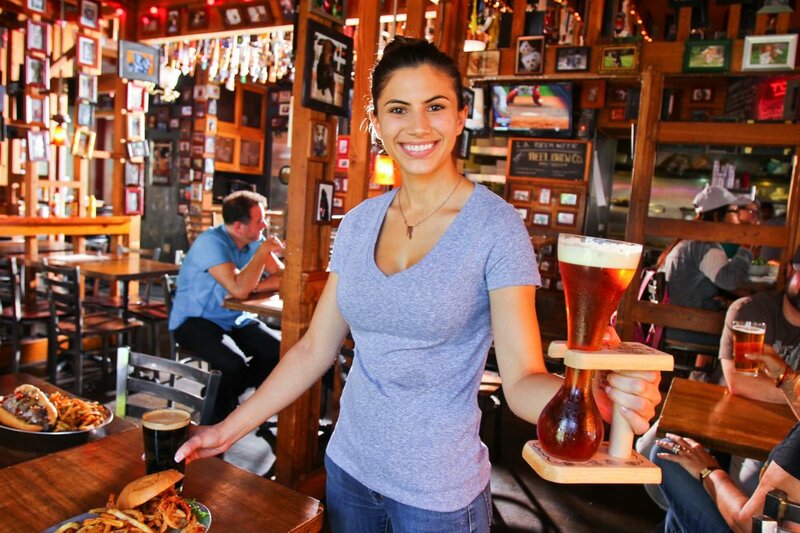 This sports staple is always a must on any sports bar list! You don’t have to be enamoured with canines to appreciate the Blue Dog (although animal lovers may go gaga over the framed dog photos covering the wall). 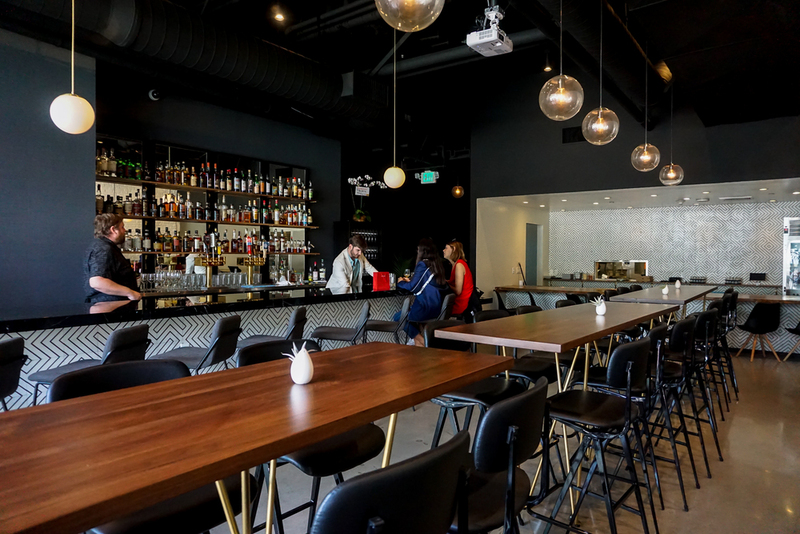 The Sherman Oaks sports bar is located in a 1940s-era bungalow that’s been stripped of the walls, leaving the framing exposed and allowing TVs to be visible from every seat. The beer list isn’t the largest in town, but it might be the best-edited, and come 10am, fans are fully decked out in their favorite team’s gear and all eyes are glued to the TVs. For our furry friends, the Wallis Annenberg PetSpace is hosting Super Pup Sunday and it’s as cute as it sounds. 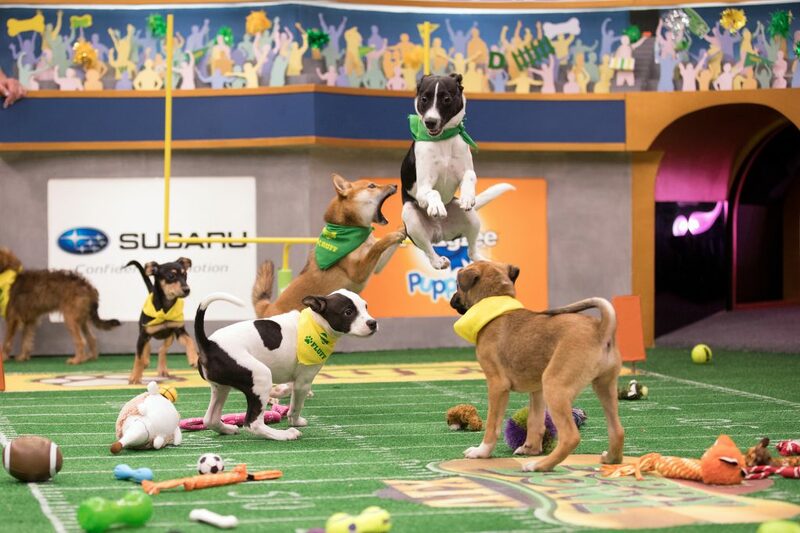 Both the football game and Puppy bowl will be streamed in the Wag 1 viewing room will complimentary food and refreshments are provided. Dogs are of course welcome, just be sure to read their rules on visiting pets.